At Feather & Springs every now and again, we sometimes must pinch ourselves, to remind ourselves on what we have achieved, and it’s always nice to be reminded by others. Being an Independent local business, we are proud that we now deliver across the North West, as well as both Cumbria and Lancashire and having 5* reviews on TrustPilot, Google and Facebook, only confirms that we are doing things right. 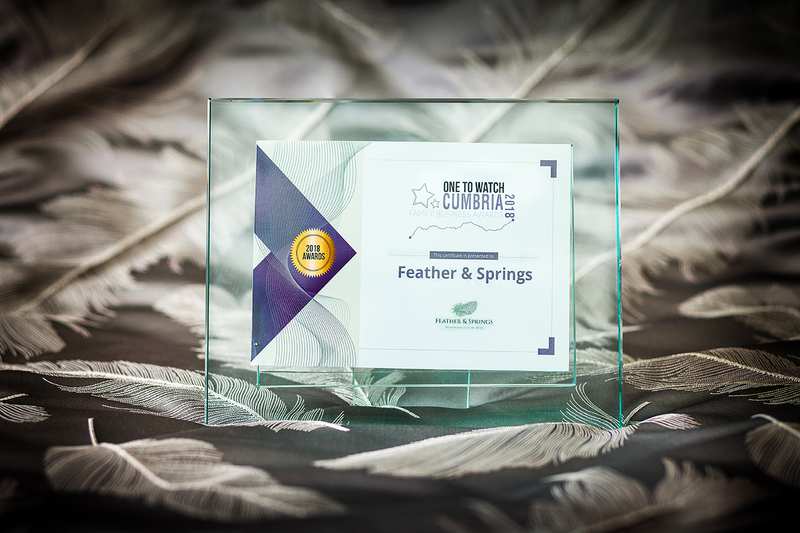 A few months ago, we won this lovely award, from the Cumbria Family Business Awards. As a relatively new business, we were thrilled to be invited along to such a prestigious event, let alone win something. As a small business, it does make us feel valued. A benefit of being Independent and a local business is that we can help and reach out to those who may need us. We recently were a major sponsor to Lancaster’s St John’s Hospice, and earlier this year, we gave away one of our lovely beds to The Cumbria Community Foundation for their Great Sleep Out event, and this bed was later raffled off. Some point’s about buying locally. Your spending will boost the local economy and promote local prosperity. We employ people who live in Cumbria and Lancashire. We are not a multinational, with investors. We are your neighbours. You will be supporting British entrepreneurs. Feather & Springs is the second local business created by the Cannon family. You can help build and maintain communities. By buying with Feather & Springs, you are keeping High Streets in the North West alive. Our local knowledge and ability to act swiftly is not something you can expect from a multinational. Problem solving and Swift action. Because we know our products inside out, we can offer tailored solutions, and deliver them more quickly than going through a corporate delivery system. All our component pieces come from Cumbria, Lancashire or Yorkshire, and we reuse all our packaging. Investing locally, is investing in yourself and your high street.